You can take the girl out of the midwest, but you can’t take the midwest out of the girl. I know it’s been quite some time since I’ve done a foodie Friday post. Up until Dubai, I was eating salads all the time. Not too exciting, huh? Well, vacation is over, diet/fitness has been put on hold until after Thanksgiving week. I mean, c’mon I don’t like to set myself up for failure. 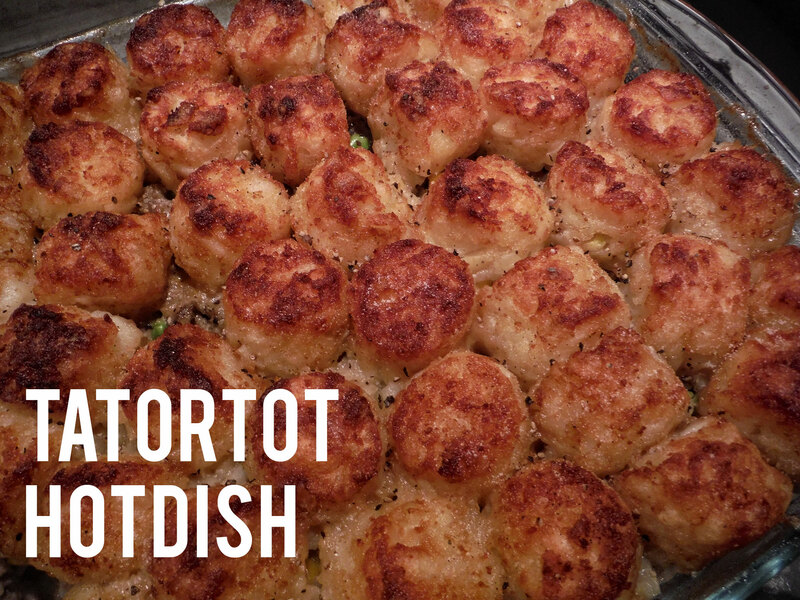 Thanksgiving in the Bot household isn’t complete without some tatortot hotdish action. At first glance, you think, “these people just throw a bunch of stuff that tastes good together”. Um…yep, that’s about right! The salty, crunch to the tatortots greets your tastebuds than you get savoriness of the ground beef and vegetables. Mmmm. I like to top off my tatortot hotdish with LOTS of green onions and a dab of sour cream. Completely optional, but you’re missing out if you don’t try it at least once. Again, I’m not one to measure out ingredients so this is a rough recipe. 2. Drain and transfer your ground beef to a casserole dish. 7. Layer frozen tatortots on top. 8. Throw it in the oven at 400 degrees for about an hour or until the tatortots are slightly browned. 9. Remove from the oven and allow to cool for 5 min. 10. Top it off with a little more salt and pepper! Optional: Here is where you can add your chopped green onions and a dab of sour cream.